Sometimes in life, we come across certain situations where unknowingly we might hurt someone badly. For a matter of fact, you may have not done it deliberately but still our tongue is powerful enough to break relationships. Relationships are like a tiny thread. It might break if not handled properly. Its like a glass to be precise. It is fragile and its often said a clap is produced only through the participation of both the hands. One hand doesn't creates enough noise to qualify for a clap. In a relationship, understanding each other is an essential factor. Better understanding nurtures a relationship. I often come across bonds that break too easily. Don't fall for someone who often takes you for granted. Apology may sound like an ordinary word but it is one powerful word. An apology can mend a broken heart. Human heart is feeble and it is bounded and controlled by emotions. Due to this reason, it blindly believes what our eyes and ears perceive. May be that's the reason why it is also labelled as an emotional fool. Don't play with the one whose heart is fragile. Their affections and feelings for you might be true and honest feelings should always be acknowledged and appreciated. A very few people in this world are lucky enough to taste pure love. At times of crisis when you are low and down, its only this love that binds us together. Respect the one whom you love! If you can't respect your loved one's then how can you respect the feelings and opinions of others. Come what may! Lets honour the feelings and affections of our loved ones. For a matter of fact, even if its our mistake let us not make it big. Almighty god never wanted us to be this way. He had made us to be intelligent and smart just like him. Don't act on impulses. Do not react to situations hastily. Remember that relationship once lost is lost forever. I have been telling this from my personal experiences. Once I had a verbal skirmish with a dear friend of mine. The matter intensified and a lot of damage had already been done. Even damage control proved least effective! A bond of 4 years was severely destroyed and all that was left was the shards of disappointments and melancholy. Try to be an understanding partner. No one in this world will hate you. Be 'Apologetic'. 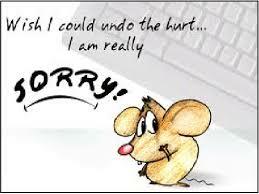 Saying a simple sorry will cause you no harm. Everyone is fallible and everyone makes mistakes. It's a natural human tendency no? A man only learns from mistakes. But don't shy away. If you are wrong, then you deserve to say sorry. Apologize! It won't cause you any harm. Sometimes even a small sorry can do wonders in a relationship. It is a glue that can be used during a crisis like situation in a relationship. I messed up with a close friend of mine. Somehow office pressure reflected on my mood and she took it to be rude. Definitely, never would I ever show such attitude to a woman. But misconceptions had to be cleared. It took 1 hour to make things clear. Of course too many apologies did wonders! It does! Apologize! With A for Apology, I mark my debut in the A to Z Blogging Challenge for the year 2015. 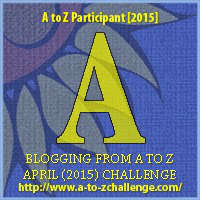 This blog post is shared with Blogging from A to Z April Challenge - A. What a relatable post... I just had a faux pas myself, with a friend who was pretty angry about something political. I disagreed on the subject and next thing you know, she's not my friend anymore. I did apologize for hurting her feelings, but I couldn't make her forget my opinion, and to be frank, I wouldn't want to... would it really be better if I had to lie to everyone who's opinion is different? When would self end and someone else begin? Why start talking politics if you're unwilling to debate or even tolerate the opposite view? Sorry - the hardest word. Elton John I think. Find you on the A to Z Challenge. Good luck! Thanks Stuart! it is the hardest word but a powerful one! 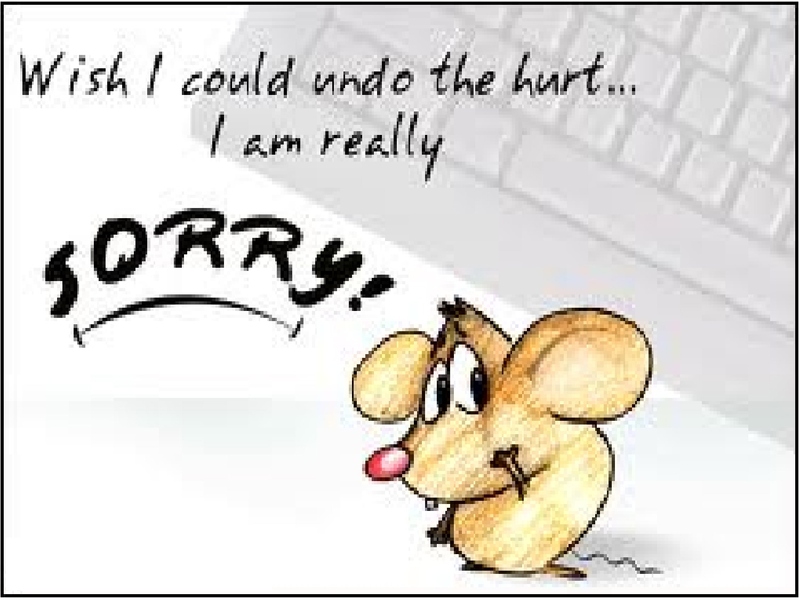 Apologies are rarely easy but go a long way to fixing a problem. Well said! And that's why it is a weapon to mend relationship I feel! So true... an apology does wonders, and only a strong person can apologise! :) very well written, good luck for the month of April. Very well said. I just came off a bad relationship spat and all it took was a good apology from both sides to mend the fences. Life is too short to live it with any regrets. Well said. Coming to your post, most of the times it's ego that stops people from saying sorry. I don't see what's so hard in it, especially if it's someone close to you. You understand that person, you know how things are... so why have an 'attitude' about it? When I'm wrong I always apologize as soon as I can. Sadly, not everyone does the same. Loved this post! I feel like I say sorry A LOT! I think that it is okay though, because we actually never know how the other person is going to take what we are saying. The best we can do it be honest with ourselves and others. If someone hurts us, then we need to tell them, and if we knowingly hurt someone else...we need to make amends. See, if we really care about our loved one's and we don't want them to leave us then we surely need to make amends else the bond would be broken! And somehow no one would like that to happen no? Of course, you are a good boy, son! always apologize when you goof up. And you have said it! Our tongue is powerful enough to break relationships - well said!